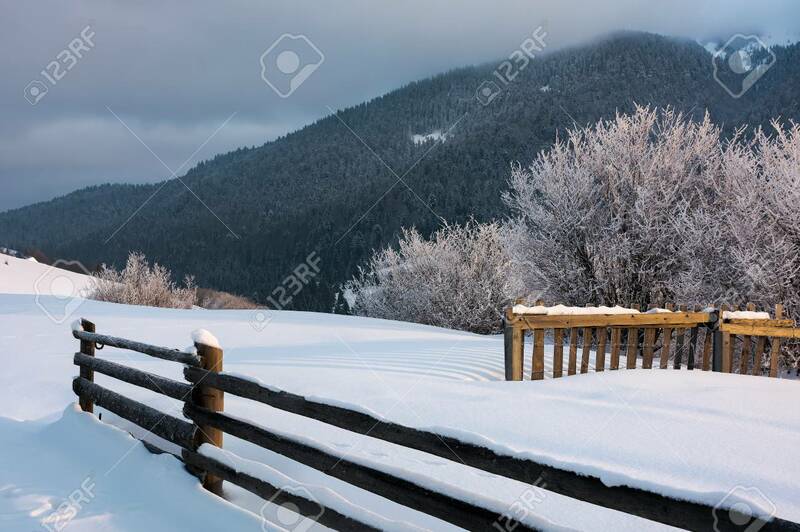 Wooden Fence On Snowy Hill In Morning Light. Trees In Glittering.. Stock Photo, Picture And Royalty Free Image. Image 113389566.